Your Perfect Gatlinburg Chalet for 2018 Earth Day Celebrations! Spring is here! Well, almost. The snow may be melting, but is it really spring before everyone has a chance to get together outdoors and enjoy the warm sunshine again? Luckily, Earth Day is just around the corner, and Gatlinburg has some great opportunities for the whole family to spread their wings after a long winter indoors and celebrate this underappreciated holiday. Book a Gatlinburg chalet this spring to enjoy all the local Earth Day celebrations. What Makes Gatlinburg’s Earth Day Special? Two things: Gatlinburg itself and the Great Smoky Mountains National Park! This legendary vacation destination has tons to offer couples, families, and both the young and young at heart! The Gatlinburg strip offers a wide variety of attractions, including relaxing wine and whisky tastings, thrilling rounds of laser tag, multiple roller coasters, spectacles from the people behind Ripley’s Believe It or Not!, great restaurants, and one-of-a-kind shopping. The City of Gatlinburg also throws a free Earth Day festival, with live music, food, crafts, and entertainment to appeal to all sorts. It’s a great weekend to be outdoors, and what better place is there to be outdoors than Gatlinburg and the Smoky Mountains? The Great Smoky Mountains National Park surrounds Gatlinburg and offers an amazing respite from the hustle and bustle of the town. Late April is a beautiful time to view wildflowers, including lady slipper orchids, and America’s most visited national park offers plenty of unbeatable recreation opportunities. Take a hike to Rainbow Falls, or head through an old growth forest to the Alum Cave Bluffs. You’re sure to be rewarded with sightings of the over 20 different wildflower species in the Park. Not sure where to stay? Why not ditch the hotel and upgrade? Cabins in Gatlinburg are an affordable and luxurious lodging choice, and if you’re bringing the whole family, Ski Mountain Chalets’ cabin When Pigs Fly is the perfect pick for everyone with spring fever. It’s a classic 4BR/3BA mountain chalet with 2 fireplaces, a pool table, 2 hot tubs, and an amazing view of Mt. LeConte. It also comes with plenty of outdoor seating, a fully-equipped kitchen, and all of the crisp, fresh, springtime Smoky Mountain breezes you could ask for. Nature surrounds you when you’re here, whether it’s the earthy scent of both new and old trees, or the pleasant sounds of birds chirping. When you’re at this Gatlinburg chalet in spring, you wake up with a front row seat to all that nature has to offer. Imagine coming in from a day on the trail and lounging on your private deck, in perfect spring Tennessee weather, with your nearest and dearest to keep you company and a chilled drink in hand. It doesn’t have to be a dream; it’s When Pigs Fly! Spring Won’t Last – Book Now! 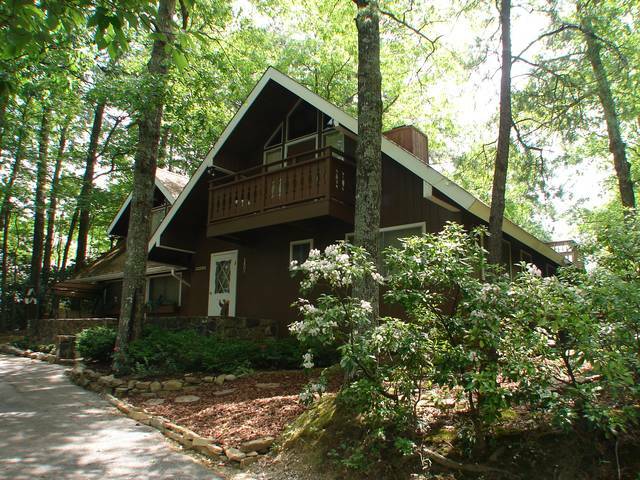 Cabins in Gatlinburg fill up fast, especially as the weather gets warmer and summer vacation starts. Don’t leave nature behind at a hotel – head over to Ski Mountain Chalets and book your Gatlinburg chalet today!